Journalist Tuğrul Eryılmaz was given a suspended jail sentence of 15 months and TL 6,000 in fine over his participation in a solidarity campaign with the pro-Kurdish Ozgur Gundem newspaper. The sentence was suspended, according to the media. 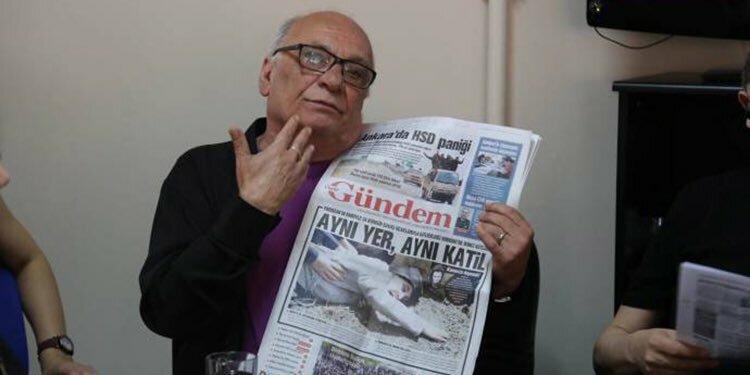 The Özgür Gündem daily was earlier accused of promoting the outlawed Kurdistan Workers’ Party (PKK) and shut down by the government. Several intellectuals and journalists stood in as the symbolic editor-in-chief of the pro-Kurdish daily in solidarity with the paper as its editor was imprisoned even before the closure. Eryılmaz is one of the people who managed the daily for a day in solidarity.